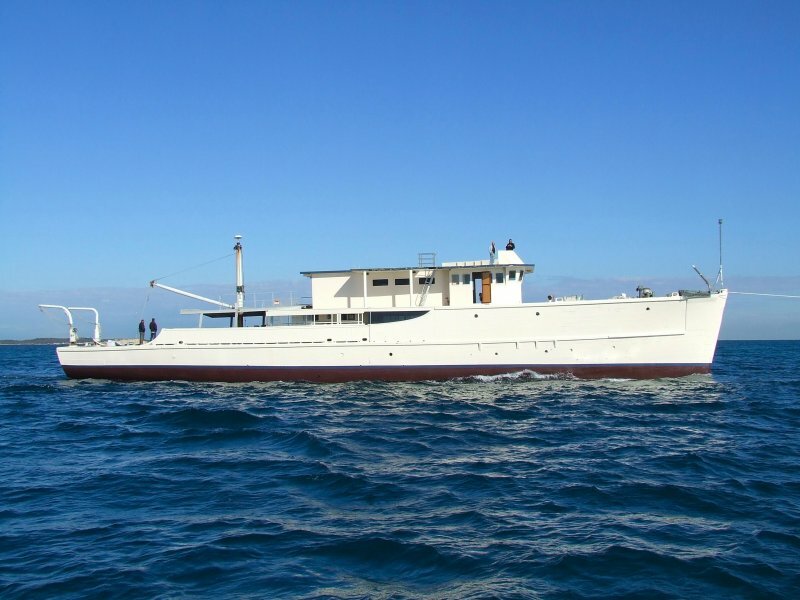 Jay Harman rescued and spent years painstakingly restoring this historic minesweeper, turning her into expedition yacht and marine research platform. He stripped and recaulked decks with a synthetic rubber compound used on the ENDEAVOUR and other tall ships, replaced rotting beams, added classic fittings and portholes, and updated the wheelhouse. 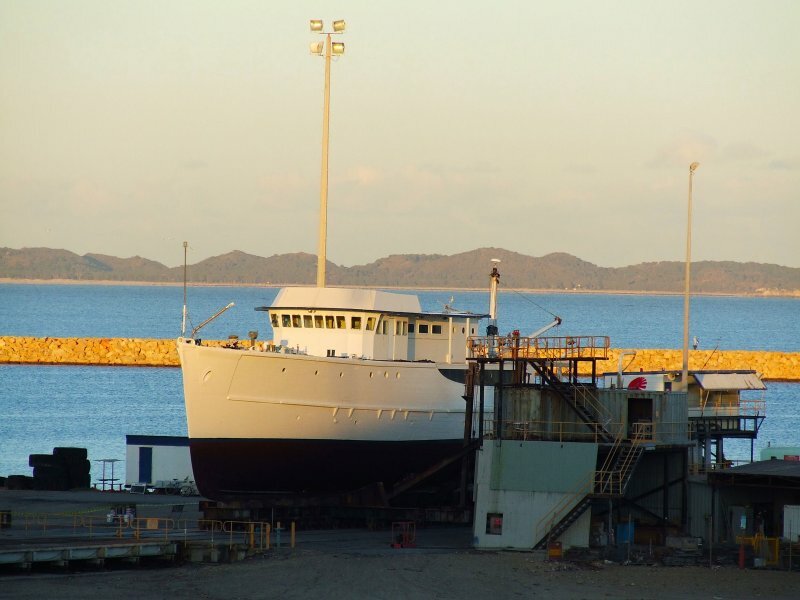 RV PAX, Australia’s largest wooden vessel, is 145′ LOA, with a 28′ beam, and displaces 330 tons. She boasts 9 double staterooms with 7 bathrooms, plus 3 separate saloons. Homeport is Fremantle, on the western coast of Australia. These photographs were taken by Earle L. Seubert. Contact Jay Harman at jharman@paxscientific.com.